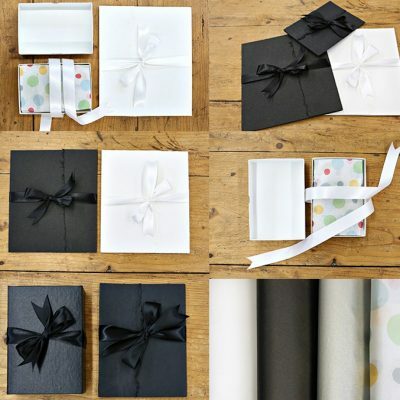 Boutique Packaging for sizes: 4×6, 5×7, 8×10, 11×14. Comes fully assembled. Great for drop shipping to your clients! Introducing Rice Studio Supply. Handmade Artisan Portrait Case, beautiful boutique packaging for your prints. 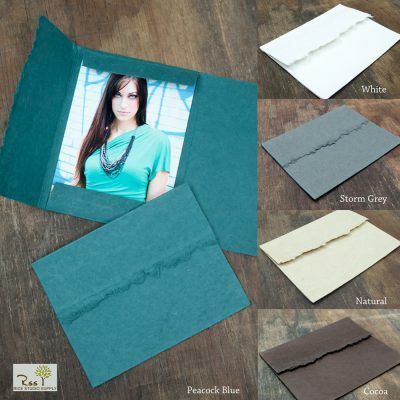 100% recycled cotton fiber, natural deckle edge, and archival. Holds 10-12 unmounted or 1-2 mounted prints. Keep flat for single prints, or fold cover scored edges to make 1/4″ deep.